Citing the need for ‘a change in leadership,’ UW women’s crew coach Bob Ernst is fired on Wednesday afternoon. Assistant Connor Bullis will be the interim coach. Long-time Huskies women’s crew coach Bob Ernst said Wednesday he can’t go into details about why he’s been suddenly let go in his 42nd season. A source with longtime ties to the school’s coaching ranks, speaking on condition of anonymity, said the Wednesday dismissal came after complaints by crew members about Ernst’s coaching style were made to athletic department administrators. Rumors about Ernst and the university having parted ways first surfaced Monday on the RowingRelated website. Ernst, 69, and the department had been engaged in a disagreement over the complaints since at least last week, when the coach is said to have offered his resignation. By Monday, though, the source added, Ernst had informed officials he “wasn’t going to go quietly.” A brief release by the department said he was “relieved of his duties’’ on Wednesday, but offered no further explanation. Assistant coach Connor Bullis assumes interim head-coaching duties. A national search will be conducted for Ernst’s full-time replacement. 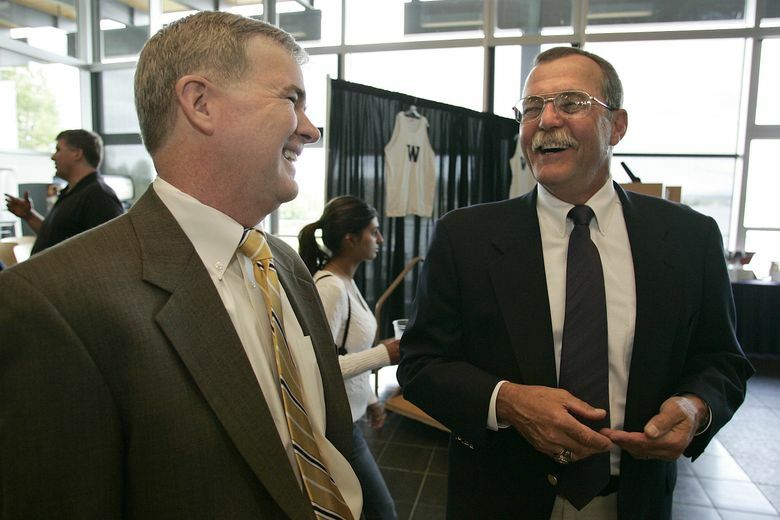 The dismissal sent shockwaves through the region’s close-knit rowing community, where Ernst had guided the Huskies to national prominence. The Huskies won eight national titles since 1980 under Ernst – six with the women and two with the men — and his women’s squad placed fourth at the 2015 national championships in its best showing since finishing second in 2008. Ernst joined the Huskies as an assistant coach in 1974, later becoming only the second non-alum to become a head coach of what became a legacy sports program. After rowing for UC Irvine in the 1960s, he’d become head coach at that school in 1968 and formed a staunch rivalry with a Huskies program that later hired him away.